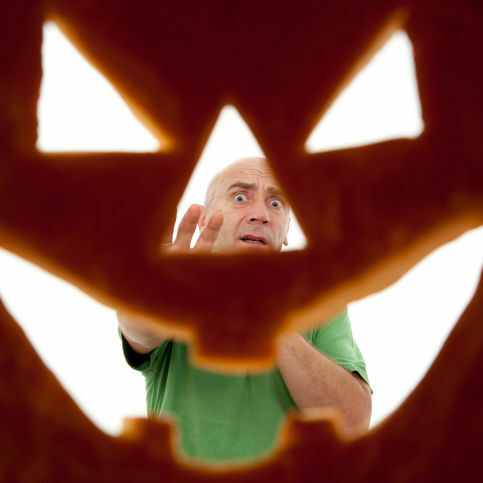 Scientists Find Pumpkin Seed Oil Causes 40% Hair Increase in Men With Alopecia. Can The Great Pumpkin cure male pattern baldness? A new Korean study indicates that this might very well be true. From a group of seventy-six men, some were given 400 milligrams of pumpkin seed oil every day for twenty-four weeks and the rest a placebo. Hair thickness didn’t change but at the end of the trial, those men who had taken the pumpkin seed oil experienced a forty percent increase in the number of hairs on their heads. This finding gives hope to the seventy percent of men who experience hair loss as they get older, especially those over fifty years old. While pumpkin seeds pack a great deal of nutrition in a very small package, the researchers believe it is 5-alpha-reductase inhibition that resulted in hair growth. 5-alpha-reductase is an enzyme that is responsible for regulating testosterone in men; there are two types, one of which is responsible for male pattern baldness. By inhibiting this enzyme, the skin on the scalp is no longer impeded from producing hair. Many men use pharmaceuticals to treat androgenetic alopecia (male pattern baldness); these can have serious side effects such as decreased libido, itching of the scalp, and erectile dysfunction. Pumpkin seed oil has no adverse effects. This is not the first therapeutic use of pumpkin seeds and their oil; other studies have shown the seeds to have hypoglycemic properties, which has implications for regulating diabetes, and improvement of enlarged prostate; the oil extract to treat urinary disorders (over-active bladder) and arresting the growth of breast cancer cells. Pumpkin seeds (we’ll focus on this part of the nutritious plant) are rich in minerals and vitamin E. Manganese, phosphorus, copper, magnesium, and zinc top the list. Your best bet when eating pumpkin seeds (or any other food, for that matter) is to eat organic. For optimal nutrition, eat the shell with the seed. If you roast your own, do so in a low oven for less than twenty minutes–after that, the fats and nutrients start to break down. There are other things you can do to stimulate hair growth if you’re one of the many that are losing or have lost their hair. Herbs, foods, and topical treatments with essential oils can stimulate hair follicles and provide the necessary nutrients to get those slackers productive again. Add a daily dose pumpkin seed oil and you may have to start visiting the barber more often. And now you have another use for that Halloween pumpkin. Latest Headlines » Healing Foods » Scientists Find Pumpkin Seed Oil Causes 40% Hair Increase in Men With Alopecia.